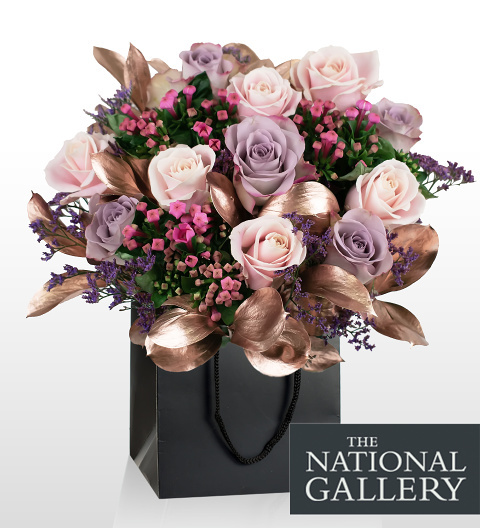 Our Nattier Bouquet is part of our National Gallery range and inspired by none other than the famous work known as Manon Balletti. This oil on canvas painting is most alluring thanks to its simplicity. 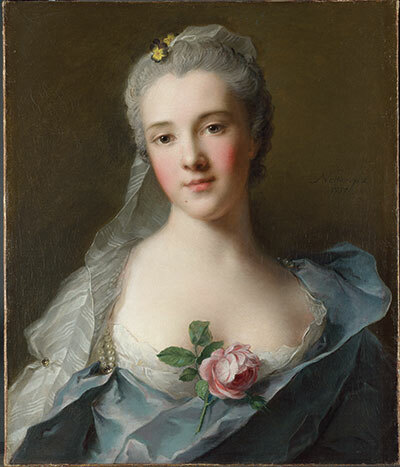 The sitter was engaged to Casanova during the time this portrait was created. However, she later married another, more reputable suitor instead. We have selected peach Avalanche Roses to represent the rose pinned to her dress as well as her perfect complexion. The Memory Lane Roses echo the wonderful shade and texture of her dress. Contrasting Bourvardia and Limonium act much like the shadows and highlights found throughout this painting while the copper ruscus represents the copper-like background of this painting. It's this background that helps the sitter stand out and it does the very same for our Nattier-inspired bouquet. A superb gift for all occasions and recipients with a refined sense of taste. These quality blooms are selected and arranged with care to ensure that they are as impressive as this famous work of art.